d7 calls a "MARKET TOP" back in August 23, 2015. Grok Trade's founder, d-seven, is widely recognized as one of the markets' foremost experts for his ability to successfully predict the stock market's moves. d-seven predicted the 2008 Financial crash, in late 2007, with several time-stamped trading videos posted on YouTube. Recently, d-seven got on record and publicly warned his followers of another significant correction that could lead to a crash one day before the Dow tanked a staggering -1089 points intraday. Watch said warning here (proof). The first warning video (one day prior) can be viewed here (more proof). Below are screenshots of actual verifiable stock market predictions, by d-seven, from March 12, 2015 through August 31, 2015. All calls are permanently marked and time-stamped by a third party and easily verifiable by any persons seeking quantifiable proof of d-seven's consistency in making highly accurate stock market calls. To our knowledge, d-seven has no equal. Source: TradingView.com. (ref. SPY chart and search out author d-seven). Steps to verify d-seven's stock market predictions: 1) TradingView.com; 2) Register (no charge); 3) Open SPY chart; 4) Click on 'light-bulb' link in tool bar; 5) Search for one of d-seven's 'published ideas;' 6) Follow d-seven here (to never miss a call). 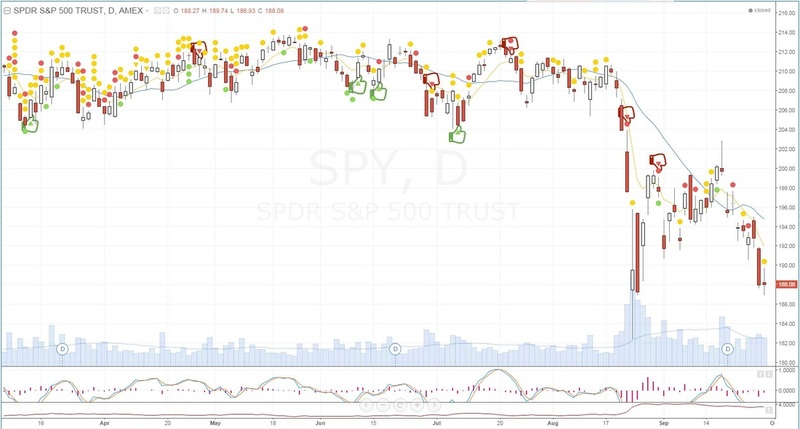 ​"TradingView does not delete published analysis. Why? "All analysis published on TradingView stays public permanently, neither users nor staff can delete an idea once it’s been published. If you don’t agree, DO NOT POST ANALYSIS ON TRADINGVIEW! "Why - it’s part of TradingView’s philosophy and mission. We are working toward bringing more transparency and accountability to discussions of the financial markets on the web." d-seven has been actively trading the live markets for 17yrs and is a former Stock Mentor for Rich Dad, Poor Dad. d-seven is the owner and founder of the #1 online trading education company, Grok Trade, which is recognized worldwide and has served students from 155 countries. Grok Trade has some of the industry's best traders who also are exceptional mentors. How are you hoping that we can help you? We are excellent trading mentors.